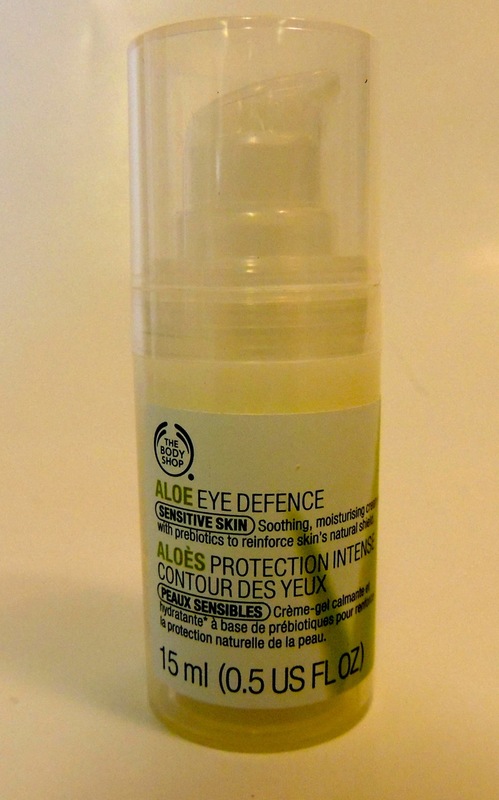 THE BODY SHOP Aloe Eye Defence - Give Me Gorgeous! This eye cream is a thin, sheer gel-cream. It boasts prebiotics to reinforce your skin’s protective abilities. And, it is labeled for sensitive skin. Its main purposes are to soothe and moisturize the delicate skin around the eyes. It’s preservative-free, fragrance-free and colorless. I like to use this cream at night. It does soothe and cool the skin under my eyes. I also use a bit on my eyelids – being careful, of course, not to get it in my eyes.